GeoBlue has quickly become recognized as a leader in global health insurance for expats living abroad. 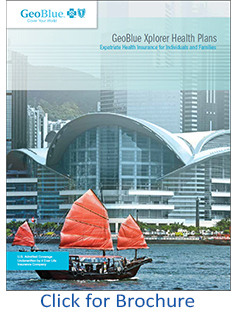 Their extensive portfolio of plans meet most of the needs of the International traveler out-bound from the United States and in certain cases inbound as well. Living and working abroad for many is simply part of their normal lifestyle and for many this constant movement around the globe comes at a hefty price. GeoBlue has created a product called the Xplorer Premier ELITE which is specifically suited for the High Net Worth Family that lives in many places across the globe throughout the year. The ELITE plan is in short an extremely comprehensive International Health Plan with little or no out-of-pocket costs for the plan member. For those seeking the absolute best in International Medical Cover this is your destination. Like all of the Xplorer plans the ELITE brings world class health coverage with no borders to the highly mobile family. If your plans to travel or live abroad will keep you away from the United States for more than 6 months throughout the years, your health and financial security are at serious risk because of significant gaps in most available insurance coverage and services. This risk is only heightened by limited knowledge of health and safety hazards around the world, including medical treatment and unfamiliar providers. The GeoBlue Xplorer Premier ELITE health plan was designed to support the international lifestyles of people just like you. The GeoBlue Xplorer Premier plan is the ultimate international health plan because it combines comprehensive worldwide benefits with a new generation of medical assistance services, which include an impressive array of Online and mobile tools used to identify, access and pay for quality healthcare all around the world. GeoBlue's ELITE plan gives you the freedom to access care inside and outside the U.S. If you need benefits outside the U.S. GeoBlue provides unsurpassed service and the convenience of mobile technology to access the best medical care no matter what town, country or time zone. GeoBlue has a network of doctors from almost every specialty in over 190 countries to see you. Only a small fraction of doctors around the world meet GeoBlue standards - participation is by invitation only. GeoBlue seeks out professionals certified by the American or Royal Board of Medical specialties who speak English, and they factor in recommendations by over 165 Physician Advisors from all over the world. GeoBlue then assembles in-depth profiles so members can choose with confidence and GeoBlue puts formal contracts in place to ensure patient access. GeoBlue doctors bill them directly so you don't have to file a claim. If you receive treatment within the United States you have cashless access to the Blue Cross and Blue Shield network in all fifty state - for up to 9 months in a rolling 12 month cycle. Informed ChoiceSM - When GeoBlue Xplorer members experience an unanticipated medical problem, they can request a second opinion and referral through the Informed Choice service. A GeoBlue Regional Physician Advisor is available to discuss the member’s diagnosis and treatment plan directly with the attending physician. Personalized Recruitment - If GeoBlue Xplorer members need a physician or specialist in an area not currently covered by the GeoBlue network , GeoBlue will make every effort to recruit and contract with an appropriate, qualified doctor. Personal Solutions - GeoBlue Xplorer members enjoy a full range of Personal Solutions. Your online and mobile tools allow you to check medical symptoms, understand your health risks and access personalized prevention and wellness recommendations. Direct Pay - GeoBlue members can avoid paying out of pocket for care by using Direct Pay. Through this service participating providers outside the U.S. bill GeoBlue directly for covered medical treatment. GeoBlue Xplorer Premier ELITE offers comprehensive benefits with ZERO out-of-pocket costs and a range of deductible options that allow members to select the right amount of insurance coverage for their budget and lifestyle. For families, the deductible and coinsurance maximum is a multiple of 2.5. After 364 days of continuous coverage, GeoBlue Xplorer members may re-enroll In a plan that matches their existing benefits. The GeoBlue Xplorer Premier plan (includes cover in the U.S.) has three tiers of coinsurance: 100% outside the U.S.; 80% in-network inside the U.S.' 60% out-of-network inside the U.S. All plans have an unlimited maximum and a $250,000 maximum benefit for emergency medical evacuation. The Out-of-pocket Maximum is calculated by adding the deductible and coinsurance maximum together. World travelers need to properly protect themselves against financial exposure due to catastrophic medical events. If comprehensive travel medical benefits and assistance services are not secured before you travel, you could find yourself exposed to huge losses - both physical and financial. Though illness can strike at any time, when severe incidents occur overseas, lack of proper coverage can leave you the traveler with steep medical bills for less than sufficient care. 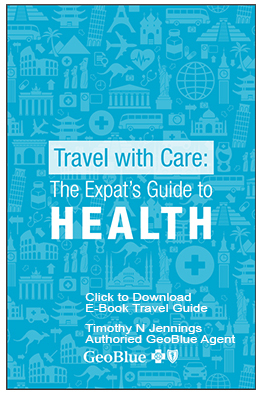 As a global traveler you need to be prepared for the possibility that you could find yourself in a location where the Medical Care is poor or inaccessible. 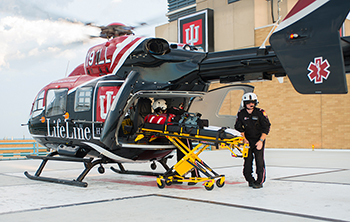 In the event you find yourself in a situation where you need to be evacuated to an area where you can receive the appropriate level of care then you need to make sure your International coverage includes a comprehensive Emergency Medical Evacuation benefit. Medical evacuations are not a simple procedures and they can be extremely complicated and expensive. This must be available to you 24/7 no matter where in the world your travels take you. In addition you need a partner who is capable of organizing and caring out the evacuation no matter where you find yourself. Make sure when you travel, you travel with a full service, travel health plan that provides a higher level of protection and peace of mind than standard evacuation memberships offer. If you are not sure about your current plan or one you are considering make sure you get a copy of your certificate of coverage and read it. Make sure you have a complete picture of what you are buying. Then cover yourself with the Power of Blue. 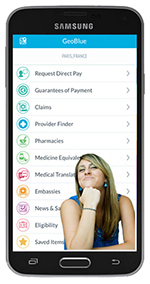 GeoBlue offers this type of comprehensive coverage and it is built into their Xplorer Premier, Xplorer Essntial and Xplorer Select Medical plans for Expats. 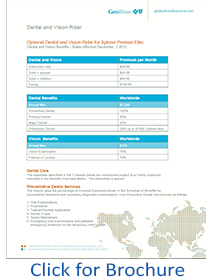 GeoBlue offers an optional Dental and Vision Rider for those who enroll in the Xplorer Elite and 1000 plans. Dental Care Expenses are broken down into 3 classes. With an annual maximum benefit of $1,500 per member and 100% preventive Dental covered, this is a rider worth consideration. In addition to the Dental Benefits, GeoBlue will pay for Covered Expenses per Policy Year as stated in the Schedule of Benefits. Orthodontic Dental Care - GeoBlue pays the percentage of Covered Expenses indicated in the Schedule of Benefits for necessary orthodontic treatment subject to a specific lifetime maximum also shown in the Schedule. 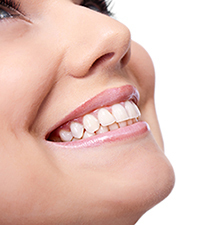 Once this lifetime limit is reached, the Insured Person has no right to any further orthodontic treatment benefits. Orthodontic expenses are not covered during the initial period the Insured Person is insured as stated in the Schedule of Benefits. Vision Care - The Insurer will pay for Covered Expenses per Policy Year as stated in the Schedule of Benefits for routine Vision Care that is not the result of an Injury or Illness. The Deductible is waived. Your coverage includes benefits for vision care when you receive such care from a Physician, Optometrist or Optician. For vision care benefits to be available such care must be Medically Necessary and rendered and billed for by a Physician, Optometrist or Optician, and you must receive such care on or after your Coverage Date. When you are traveling or living abroad there is no better friend then your GeoBlue Mobile Phone App. As a member it is FREE to you and everything you can do online with your GeoBlue Member Account you can do on your phone. Simply search your Apps Programs and search for "GEOBLUE" and download it to your phone. Moving abroad can be full of major decisions and requirements for those outbound Expats. GeoBlue offers the true Expat with some of the best tools in the industry. If you are considering a change and if you are moving abroad then consider reaching out to us and let our 30+ years of experience helping expats both outbound and inbound from the United States by calling (307) 690-0427 or email us at "sales@individualhealth.com". We are here to help. Moving abroad is an exciting time for most people. There is plenty to do prior to departure. For American Citizens it is important that they understand what responsibilities they will have to meet should they move broad with regards to the Affordable Care Act. 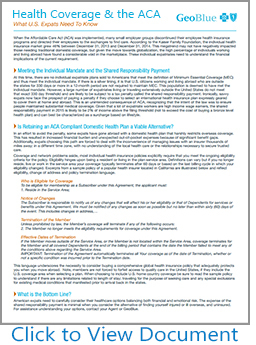 Most Americans today know that they are compelled to purchase what we now refer to ACA Compliant heath insurance so that they are not required to pay the Shared Responsibility Payment (IRS Penalty) for not having "Minimum Essential Coverage"
U.S. citizens living abroad are subject to the individual shared responsibility provision. However, U.S. citizens who are not physically present in the United States for at least 330 full days within a 12-month period are treated as having minimum essential coverage for that 12-month period regardless of whether they enroll in any health care coverage. This is known as the Physical Presence Test. In addition, U.S. citizens who are bona fide residents of a foreign country (or countries) for an entire taxable year are treated as having minimum essential coverage for that year. In general, these individuals qualify for the foreign earned income exclusion under section 911. U.S. Citizens who do not meet the physical presence or residency requirements muct have minimum essential coverage (an ACA Compliant healthplan), qualify for a coverage exemption, or make an individual shared responsibility payment when they file their federal income tax returns. 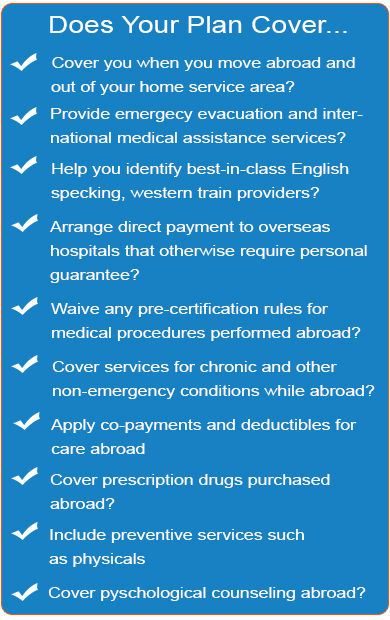 Note that minimum essential coverage includes a group health plan provided by an overseas employer. This is a complicated subject so we are providing a link to the IRS Publication 5187 as one reference source for you to have. 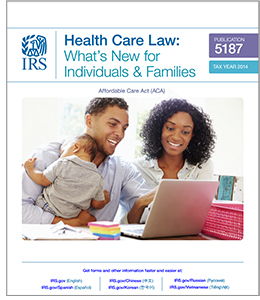 Simply click on the brochure image above to view the IRS Publication. We suggest that you consult with your CPA or Tax Professional to help you better understand your responsibilities prior to moving abroad. A little about me... 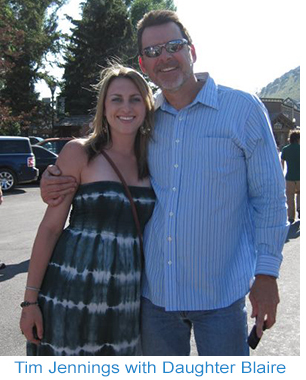 I live and work in Jackson Hole Wyoming which is not only a beautiful place to live but I am blessed to be exposed to a multitude of International Expats from around the globe. This is all I do which is to say I am a full-time International Health Insurance Specialist that works daily with High Net Worth Families and their businesses from around the globe. I want to earn your business and I want you to know that I am one of your BEST resources in addition to the comprehensive infrastructure provided by GeoBlue after the sale. I make myself available pretty much 24/7 to ALL of my clients and I am always ready to assist you and your family no matter where and when the need arises. I have direct access to the entire GeoBlue support system and in extreme cases I will work tirelessly to make sure you and your family are receiving the direct service required to meet you needs. Living and working abroad is gift not many experience throughout their lives but for those of you who are blessed to be truly global in your work and personal lives it is my sincere wish that the only time we need to work together is the say hi at different points throughout the year and that you never have to experience the level of service GeoBlue is capable of delivering. But should that day come both GeoBlue and I are here to help you through the crises. If you would like to explore the International Cover options for your family reach out to me by phone +1 (307) 690-0427 or email me at "sales@individualhealth.com" or simply complete the brief Quote Request Form below.